It's Friday. Thankfully, the BG monster got my message. I spend a lot of time talking about our team. For our family, team is a critical concept. We find that we are most successful when we have people surrounding us that want the same core values for our daughters. 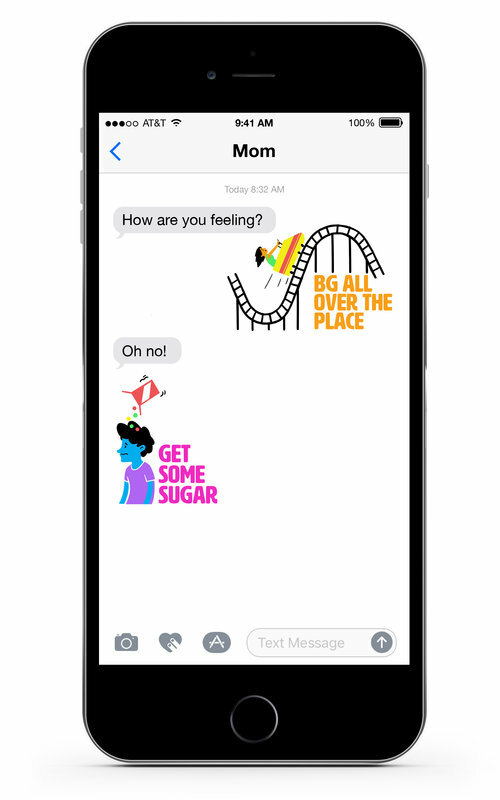 It used to be 'Kids First, Diabetes Second' and we stuck with that as our mantra throughout the toddler and young child years. As we enter a new stage of life, we are evolving into fostering an environment that allows happiness, growth, independence and successful T1 diabetes management. In a nutshell, we are preparing to transition our girls into a life that includes high school, college applications and one day, a dorm room. Yes, that is right... we are basically leading our children into care that will one day allow them to have a sleep-overs every single night for four years! We do need a team to help us through it or else I need to prepare to sleep on their doormat and I am way to old for that. As we move forward, I am coining this time of life as 'Teen T1d'. I'm sure that it will be a big eye-roller in our house (because that is what teens do), but we need something new to remind us of what we are trying to accomplish. We couldn't do this alone either. Enter Solara Medical Supplies and our friend, Jeff. We met several years ago at a JDRF breakfast. The meeting was one of those HUGE epiphany moments for me as a parent of two newly diagnosed daughters. After asking who our supplier was and trying to comprehend that we had approximately four suppliers with around eight monthly medical package deliveries/pick-ups (pump supplies, lancets, meters, strips, cgm supplies, plus insulin and thyroid medication) for two children, he quickly stepped in and suggested a better fix. As someone who had adjusted her home life around waiting for the UPS driver and mailman, it was incredible! I had no idea that life could be, ahem, simplified. 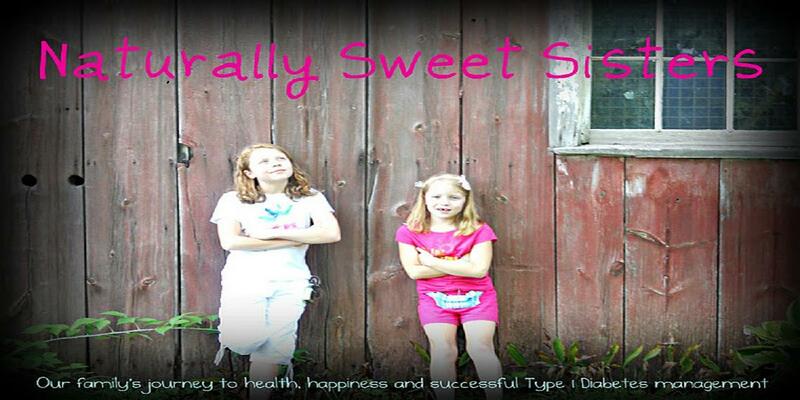 Not completely simple, because after all, we still had to manage T1d in two small children. As the years have rolled on, Jeff has been at every local JDRF and ADA event, meeting and greeting parents, children and teens. He made it summer tradition to volunteer, using personal time, at our local diabetes camp. He also spent hours planning and coordinating special events for families. All of this just to take the focus off the daily grind of injections, pokes and yes, even supplies. A great story surfaced from his boss with the gist being that Jeff does what he does because he is not only fabulous at it but because he wants to make sure it is handled properly. Trust me, there are very few people in the world that can claim this sort of skill and I am glad that Solara found it within Jeff. Case in point, when I started mentioning ideas of needing a teen group for the Teen T1d, Jeff was the first one to jump into action with ideas, enthusiasm and much-needed charisma for kids that are often too shy or awkward to participate. He explained that he had wanted to do something like this for five years. He wanted to see teens (and really kids of all ages) excel in life and the best way was leading the charge on giving them a safe space to learn, grow and thrive. After weeks of planning and one very successful event premiere, our committee of volunteers high-fived. Next to us, Jeff just quietly cleaned up - reviewing the day's event and already planning the next teen event. With Solara, it isn't just Jeff either. It is the entire company he represents. From Alan to Kim and all in-between. Each person, even if they are not touched personally by T1d, feels a deep kinship with the families that they service. Before I wrote this piece, I asked Jeff if it would be OK. Once again, he had formulated a plan on helping our family with managing T1d. And once again, I was more than grateful to be able to rely on his expertise to help us get through a difficult situation. I told him that I wanted to share to all of my readers of how instrumental Solara Medical Supplies has been throughout our journey as a way to thank him for his kindness and help. Jeff graciously said thank you, but also said he would do what he does even without a spotlight. He is just that kind of guy. Thank you to Jeff and the entire Solara Medical Supply team. The Naturally Sweet Sisters couldn't do it without you! Disclaimer: I was not solicited nor compensated to write this blog but truly wanted to share our experience as a family with a supplier that we know and trust so that it may help others. On February 1st, 2015, ADA Camp Midicha opened for on-line summer camp registration. I can't say enough wonderful things about this little piece of a mid-Michigan happy place for kids that live with Type 1 Diabetes. To us, camp is MAGIC. In going through my old posts on the subject of camp, I thought I would re-post one of my more reflective pieces. I also want to encourage each and every parent to think about signing up for camp. I truly believe that the magic from camp is worth it. To find ADA camps in your area click HERE. Because they are kids and this is their moment. Not to mention, from their viewpoint, they get to have me out of their hair for a week! 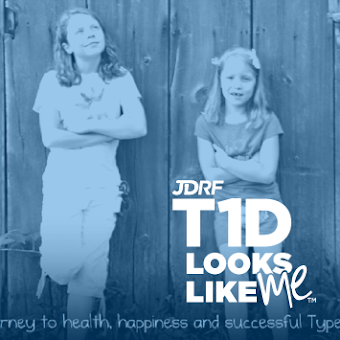 We left on Sunday, knowing that our only two daughters, both living with type 1 diabetes, will be in the best possible T1d care. Recently, the girls and I went to 'our' quarterly endocrinology appointment at the University of Michigan - outpatient clinic. Between the beginning and the end of the day, there really wasn't much to tell. All of the boring and tedious tasks were completed; weight and height measured, finger pokes for blood sugars and Hemoglobin A1cs taken, and the usual small talk about recent school activities and blood sugar management - all discussed and recorded into their electronic patient records. Not surprisingly, oldest daughter hadn't changed in growth over her last three month appointment. 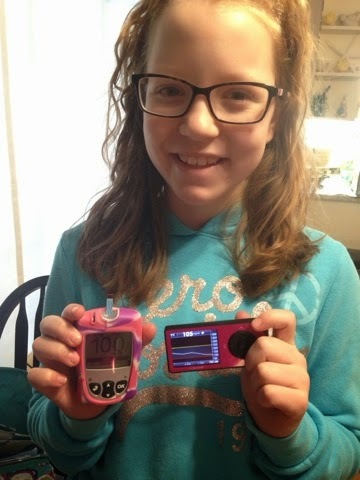 In relation to her lack of growth, she also had her best A1c since the first year she was diagnosed with T1D. For those that want to know, the snapshot (because that is all that it is) was 7.0. We (the team of endocrinologist, CDE, oldest daughter and myself) discussed that meant that she was close to reaching her adult height; a fun-size height of around 5'1" or 5'2". As a 5'3" or 5'2" snack-size, I can say that with a smile. Petite is perfectly fine! Then we also talked about the fact that, with little effort on oldest daughter's part, this lack of rampid growth hormone has also allowed her body to lower her A1c - with basically NO EFFORT. An immediate correlation came to mind. There is a family story repeatedly retold from when oldest daughter was a first grader. We retell it because as an all 'A' kid, it seems crazy that we ever had a situation where she wasn't eagerly racing to learn more. Years ago, I remember her teacher worrying about her reading skills about mid-way through the first grade year. After a phone call and in-classroom parenting meeting, the teacher came up with a plan to allow our oldest daughter to spend time with a 'Reading Specialist' with the hope that would help her catch up to where her teacher wanted her to be. As my first born, having a teacher tell me that she was concerned about our oldest daughter's word recognition and reading fluency scared and worried me. Even though she was only 6 years old starting first grade, common sense failed me and I began to panic. I had many sleepless nights and a few tears in thinking about the million ways that I had failed as a parent. I LOVE to read and having a child that was behind in the first grade world of literature had to have meant that I wasn't doing something right. After all, everyone else seemed to be learning how to read at lightening speed. Or so I thought after reading parenting blogs and articles that told me that. Fast-forward to the end of the school year. Oldest daughter passed into second grade and her reading did pick up marginally. While in second grade, she kept her scores up with the class average but still, wasn't exactly a lover of books. Then, third grade came and a book series about mermaids. Since we spent a lot of time at the lake, oldest daughter felt a deep kinship with mermaids and fell in love with the idea that there was actual stories about girls like her that could be mermaids. From there, she devoured books. Her reading scores shot up from average to grades beyond. As an eighth grader, she scored at college level. What happened? Well, I firmly believe that when her brain was ready, she was ready. Pushing her did no good. We just had to be patient for her mental growth. I wish I would have known that first time that learning happens for each child at their own pace. Much with an A1c, when hormones aren't as active, a lower blood sugar will be much easier to achieve. That doesn't mean that you should stop reading to your child and it certainly doesn't mean that you should let up on pre-bolusing or carb counting, but it does mean that it will get easier and things will 'click'. So on that note, pre-bolus and enjoy a snack while reading a good book. And for me, well, I am going to be more relaxed for the next two years as her sister goes through her growth period. It is a Naturally Sweet Sisters doctor order!